A sponsor for Confirmation is a public role in the Church. Before selecting a sponsor, the Confirmation candidate and their parents should reflect on whether the person you are considering meets the requirements. 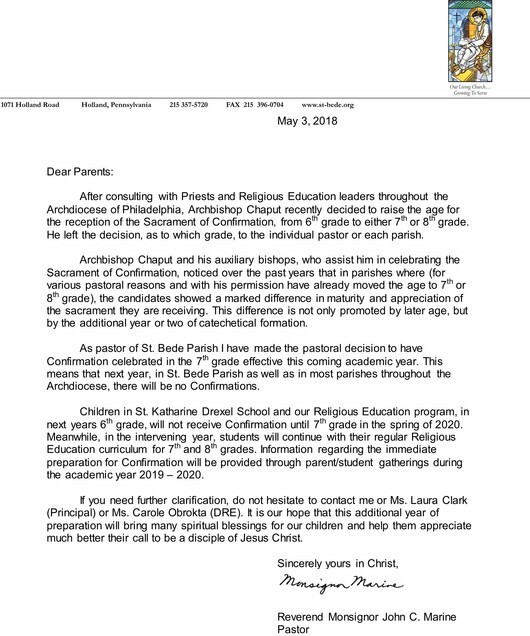 Family members sometimes feel compelled to ask someone because of tradition for other obligations, unaware that the proposed sponsor no longer practices the Catholic faith. In the event that the person you are considering to be the sponsor does not fufill these requirements, you could possibly discuss this matter with them. An invitation to be a sponsor can be a "graced moment," inviting a family member or friend to turn again to Jesus Christ through the Catholic Church. 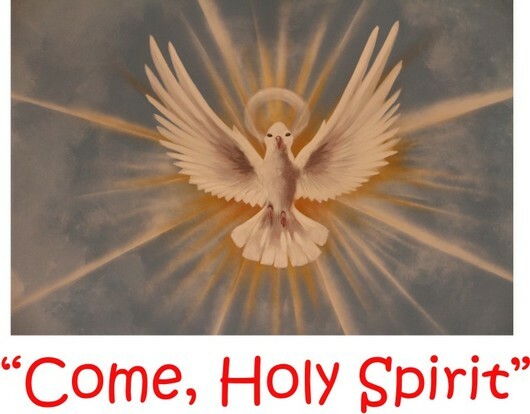 CONFIRMATION WILL BE CELEBRATED FOR OUR SEVENTH GRADERS ON SATURDAY, MARCH 14, 2020, AT 10:00 A.M. AND 2:00 P.M.